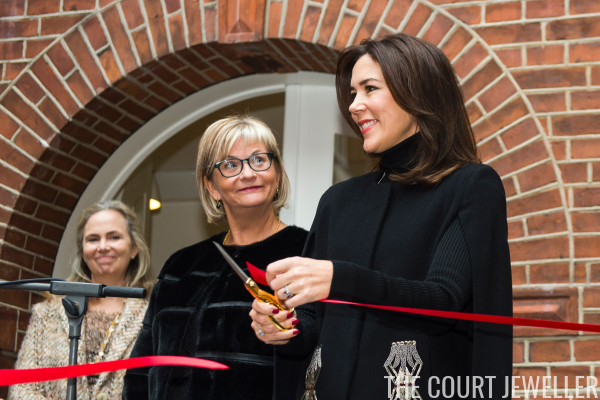 On Friday, Crown Princess Mary of Denmark officially opened the new Mothers' Help House in Copenhagen. 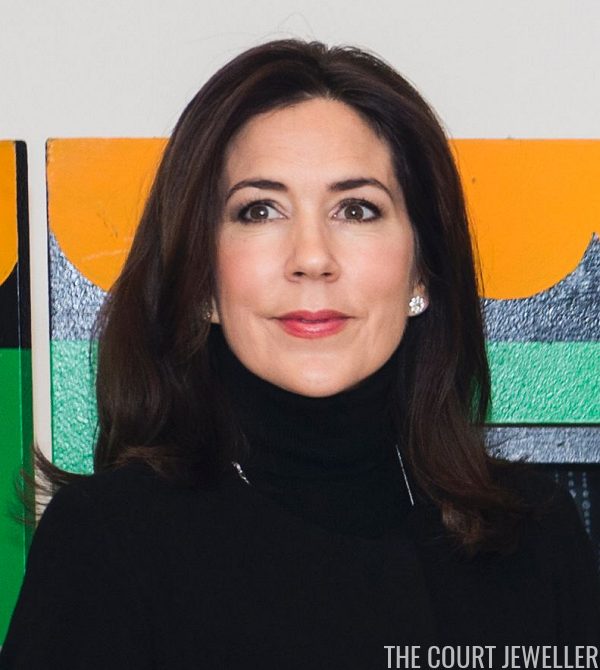 The organization provides services for expectant mothers and families; Mary is their patron. Here's a look at the jewelry that Mary wore for the ribbon-cutting ceremony. 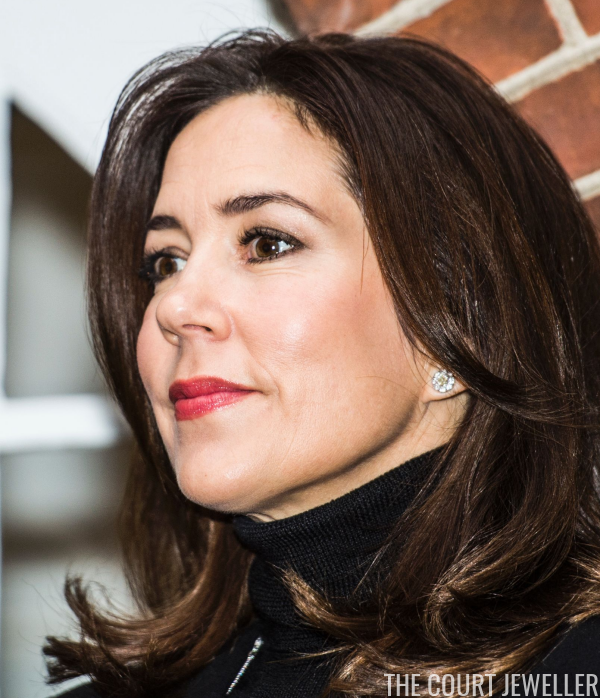 For a daytime occasion in Denmark, Mary wisely chose a smaller pair of earrings that still packed major sparkle. The stud appears to feature a cluster of diamonds. You can just see a hint of a silver chain peeking through at the neckline of her cape. 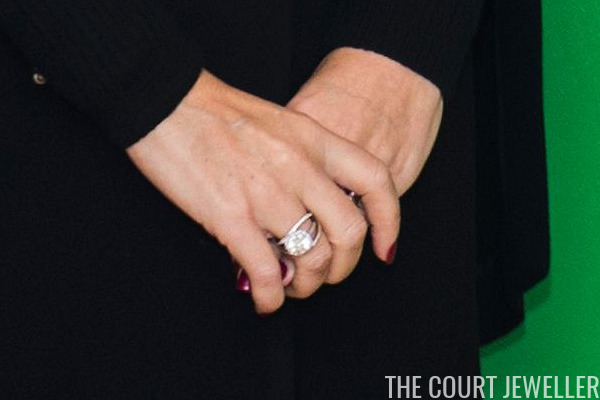 Mary wore her engagement ring (which we discussed yesterday!) and her wedding band on her left hand, plus a bangle bracelet. On her right hand, she wore rings from Ole Lynggaard. Her outfit also came with its own embellishment: check out the beading on the cape!